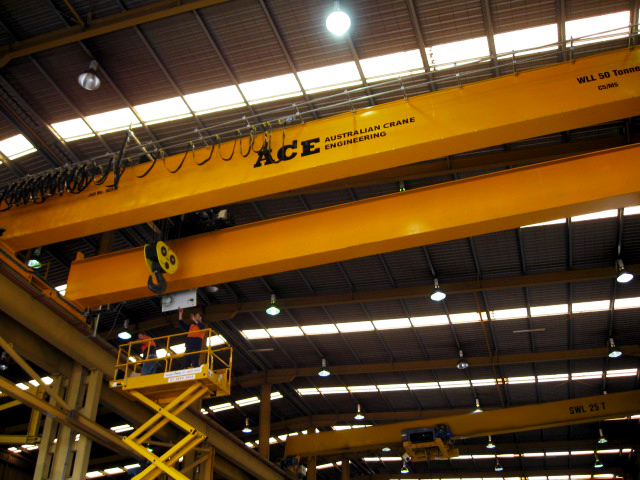 With over 26 years experience conducting major inspections, ACE Materials Hanlding have developed an inspection system that is not only Australian Standards 2550.1, compliant but designed to ensure the equipment is continued for safe use. When is a Major Inspection Due? Inability to determine if the equipment has reached its designed working period. ACE Materials Handling Major Mechanical Inspection and Major Structural Inspections are designed for all lifting equipment including cranes, jibs, hoists, trolleys, structural supports, rails and access ladders.